SSE will sell a 49.9% stake in two Scottish wind farms to a renewable infrastructure fund for £635 million. 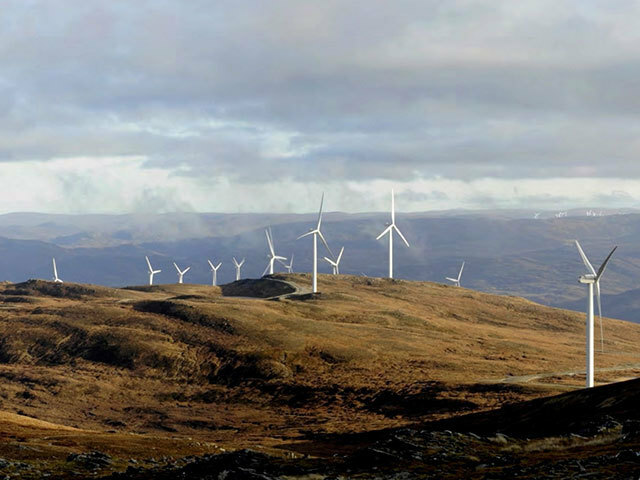 The deal involves the 66 turbine Stronelairg wind farm near Fort Augustus and the 33 turbine Dunmaglass development, 15 miles south of Inverness. The stakes equate to 160.6 megawatts of capacity. Buyer Greencoat UK Wind (UKW) is run by Greencoat Capital, a leading European renewable investment manager, with over £3 billion of assets under management. SSE will continue to operate both wind farms with Vestas and GE providing turbine operation and maintenance. The transaction is expected to go through by the end of March 2019. SSE intends to use up to £200m of the proceeds to fund a discretionary share buyback. Gregor Alexander, SSE’s finance director, said: “Both Stronelairg and Dunmaglass are a testament to SSE’s ability to design, develop, construct and operate first class renewable energy assets. Tim Ingram, chairman of UKW, said: “I am delighted to announce the acquisition of these two high load factor, ROC accredited wind farms, which will deliver attractive investment returns.